Everyone needs a little something to snack on before they sit down for the meal, and sugar-coated pecans are the perfect seasonal snack. Bonus: they're super easy to make, and they're sure to impress. 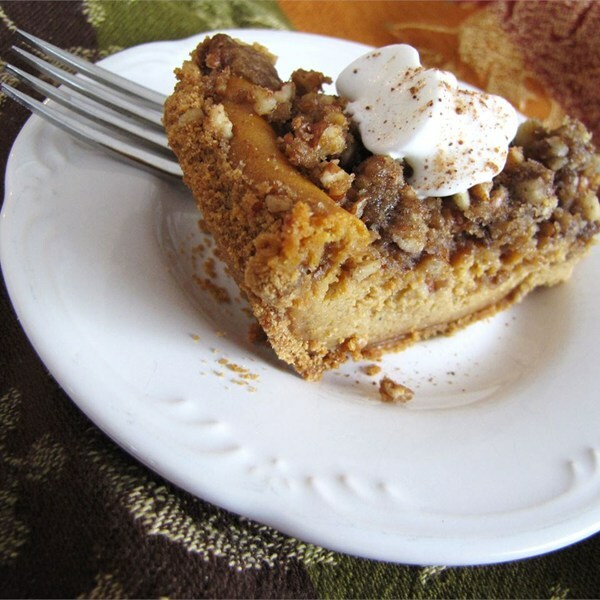 If you have pecans, cinnamon, sugar, and an egg, you can pull this recipe off in no time. 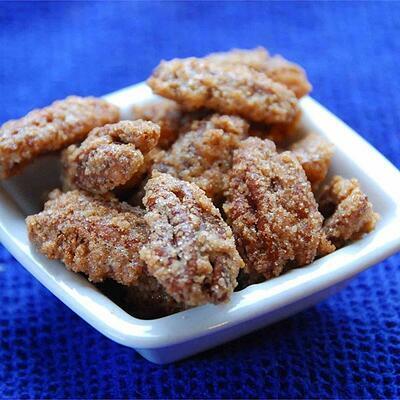 Get the recipe for sugar-coated pecans from AllRecipes.com. 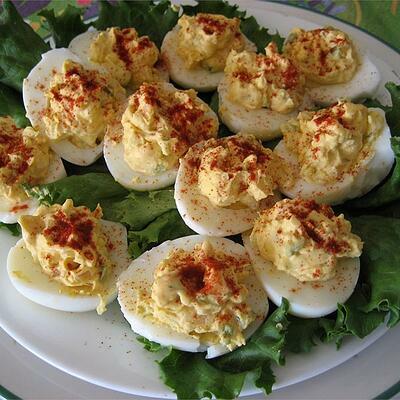 Deviled eggs are a classic appetizer that always look much harder to make than they are. You can whip up a plate of these eggs in under an hour. Be careful with the hot sauce; you don't want to make them too deviled for some of your coworkers. This festive dip is incredibly easy, but you have the opportunity to really wow on presentation. 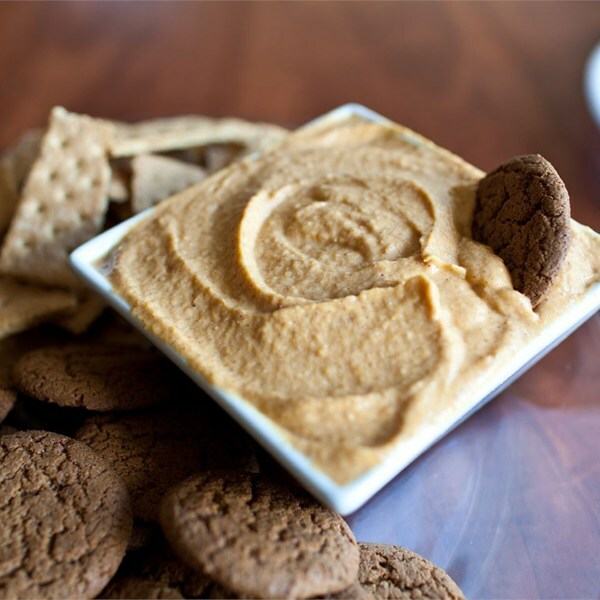 Add some gingersnaps, apple slices, or graham crackers for dipping. Cheese and crackers are always a simple crowd-pleaser to whet everyone's appetites before the meal. 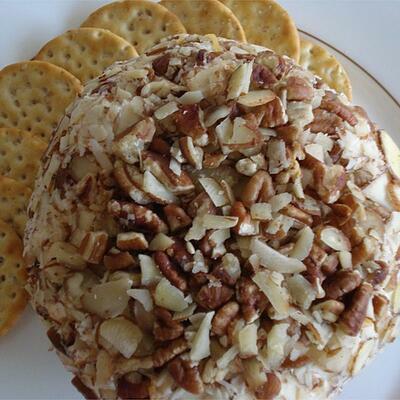 Add a little bit of drama to the dish by making an easy cheese ball with pecans, perfect for the season. Sure, you could always just bring a few boxes of Stove Top, but this extra-fancy (but not extra-difficult) stuffing will surely impress. Most of your time will be spent chopping up the delicious apples, onion, and herbs, but from then on, it's a mostly just throwing all the ingredients together. 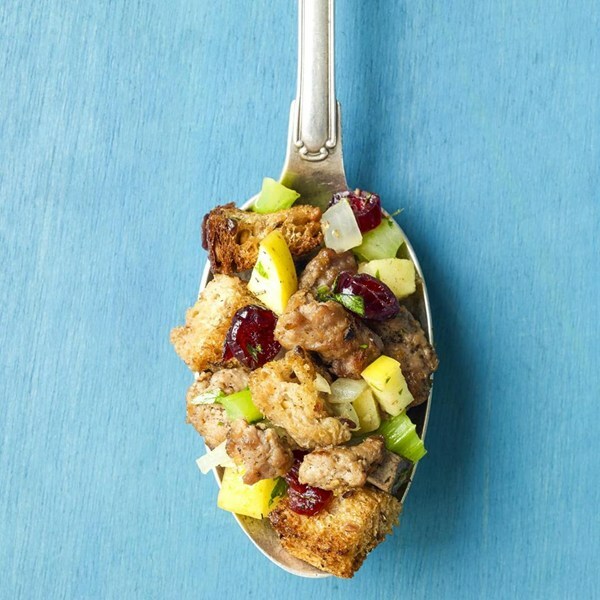 The key is finding some seriously good loaves of both white and wheat bread to up this stuffing's delicious factor. And of course, the final touch is a little turkey sausage. Who needs to actually stuff a turkery with stuffing when it's this good to eat on its own? 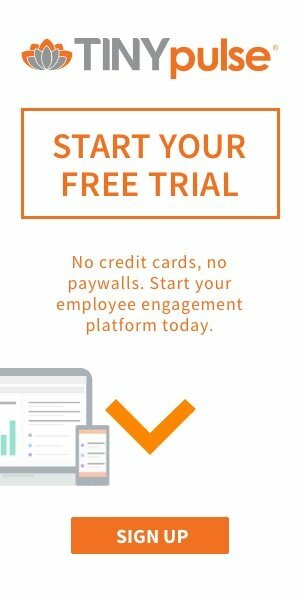 You want to really make your coworkers happy? 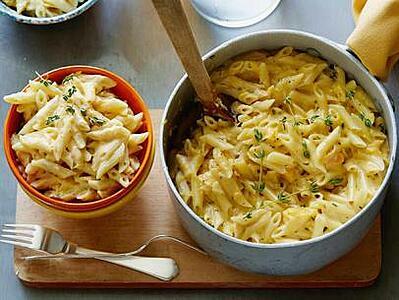 Switch up the veggie side dish to make a delicous butternut squash mac and cheese. You definitely won't have any leftovers. Plus, the recipe calls for already cooked and cut butternut squash that you can buy at the store, so you don't have to slave forever in the kitchen either. 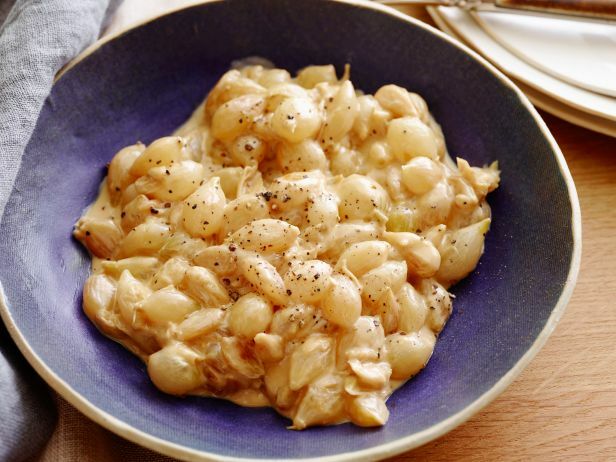 This recipe is particularly great as a main course for any vegetarians in the office. 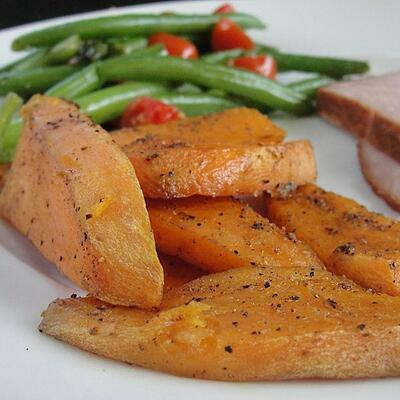 This simple, flavor-packed side dish recipe can be prepared in advance, which makes it far more convenient for you. 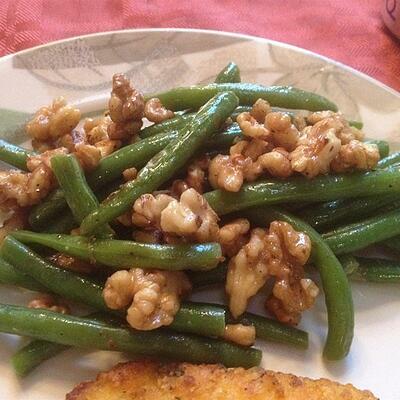 The walnuts escalate the dish into something you can show off with in your office. 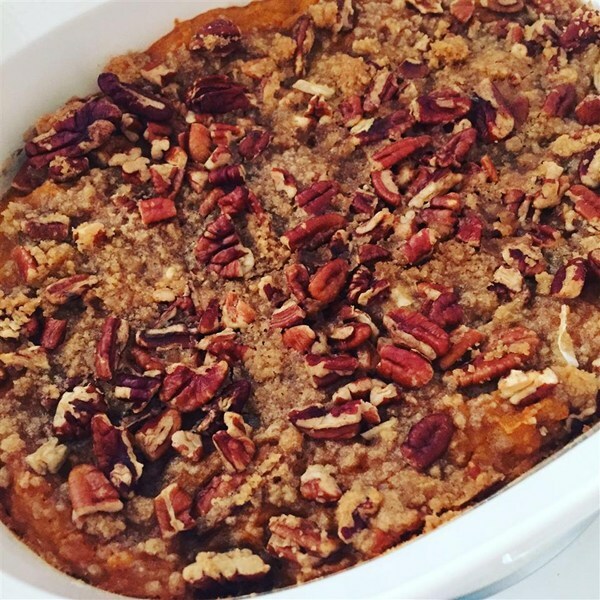 No Thanksgiving dinner is complete without at least one sweet potato casserole. 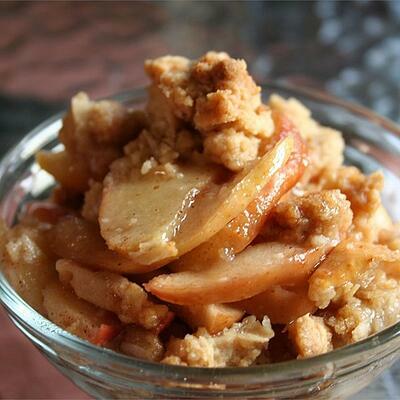 The dish is so delicious, it's almost dessert and not a side dish. And what no one wants to tell you? It's also incredibly easy, as along as you have plenty of butter and sugar in the pantry. 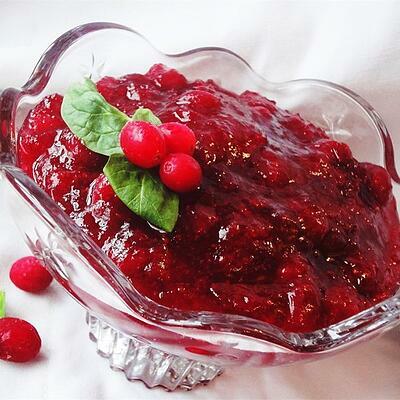 You could go to the grocery store and pick up some canned cranberry sauce mold on your way to the office. Or you could seriously impress with this homemade, and not that difficult, cranberry sauce recipe. Considering the prep time is only a measly fifteen minutes, you should probably go with the latter. 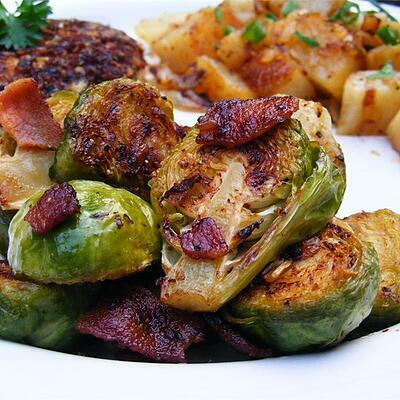 If anyone complains about Brussels sprouts, just remind them that you are also the one who brought the bacon to the party. Nobody can deny bacon. And because the recipe could not be easier, you won't be stuck in the kitchen before work preparing. 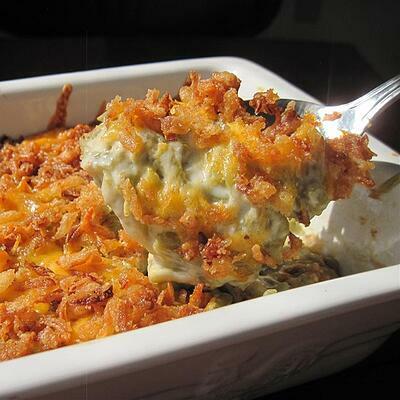 Another classic holiday recipe, this green bean casserole serves up your daily dose of veggies with enough cheese to make everyone in your office super happy. This recipe is for the slightly savvier chefs, but when you see how it turns out, you know the time will be worth your coworkers' gasps of amazement. 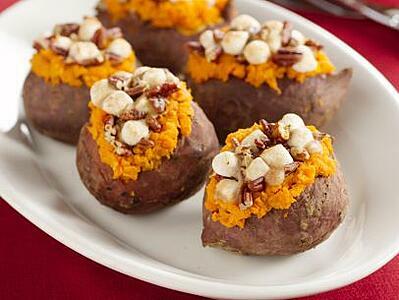 Each of your team members will get his or her own sweet potato, stuffed with all the marshmallow, pecan, sugary goodness. 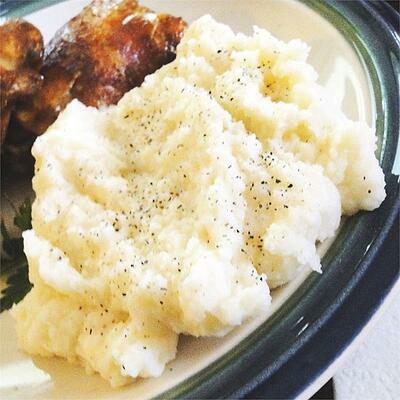 There can never be too many mashed potatoes at any Thanksgiving feast. 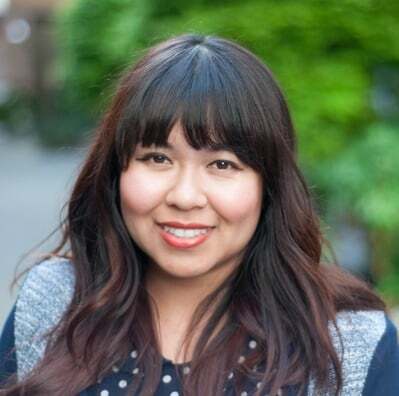 Fancy your batch up a bit with roasted garlic, but maybe make sure you bring mints, too, because they will taste delicious but no one wants to be stuck in a room with dozens of people with garlic breath. 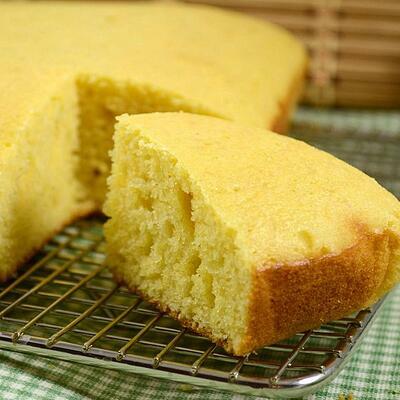 Cornbread is easy to make, and you can finish it ahead of time so you're not scrambling when potluck day comes around. If you're not exceptionally talented in the kitchen, this recipe is a crowd-pleaser no matter your skill level. If your Thanksgiving potluck is going to have loads of guests in a standing-room only conference room, sweet potato fries are a fun alternative to a classic side dish that will make it super easy for everyone to chow down. Bonus points if you add a maple or mashmallow dipping sauce instead of ketchup to keep in line with the season. Go a little against the grain for dessert and your coworkers will love you for it. There might be a lot of pies on the conference room table, but you can wow with a pumpin and pecan cheesecake that combos the best of the best in Thanksgiving desserts. Just don't forget the whipped cream. Don't panic if you're not a baker. 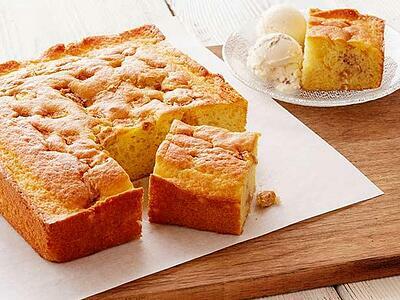 This easy apple cake uses a box of yellow cake mix as its base (not that anyone has to know). All you have to do is toss in some apples, cinnamon, butter, and sugar to the prepared batter to make this delicious cake. Top it off with a side of vanilla or rum raisin ice cream. 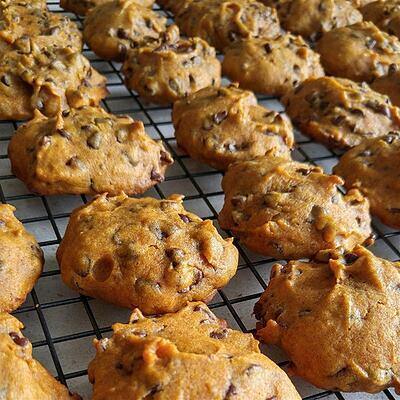 Kick your ordinary chocolate chip cookies up a notch with some canned pumpkin, and you've made a treat your coworkers will probably be stuffing in their briefcases to bring home. Easier to make than a homemade pie and arguably more delicious, apple crisp is the perfect addition to any Thanksgiving gathering. Vanilla ice cream is an absolute must.